Identifying the option that will lead to the greatest returns for a grower is a complex problem. Yield will be one of the key determinants of returns, but grain quality is also a consideration. Two recently released varieties for Western Australia; Bannister and Williams, have shown significant yield and disease resistance improvements over other varieties and should be considered by growers. Newly released variety Durack (tested as WA02Q302-9) is a shorter season variety which has excellent grain quality, suitable for the lower rainfall areas. Yield will be the main determinant of returns but grain quality is also an important consideration. The decision to grow oats for milling, feed or hay depends on the following factors. The relative yields/gross margins of milling grade, feed grade and hay oat varieties. The likelihood that the grain will be accepted for milling grade and the premium paid for that grade. The quality parameters for a high yielding dual purpose or a high quality hay variety for the export market. Agronomic and disease constraints of the different varieties. Choose a range of two or more varieties to suit likely sowing opportunities in your area. Assess risk factors such as disease susceptibilities, herbicide sensitivities, dockages for downgraded samples, susceptibility to weather damage, coleoptile length, tolerance to acid soil and boron toxicity. Traditionally, only tall oats were accepted for use in the milling industry in Western Australia as those carrying the dwarfing genes generally did not produce suitable grain. 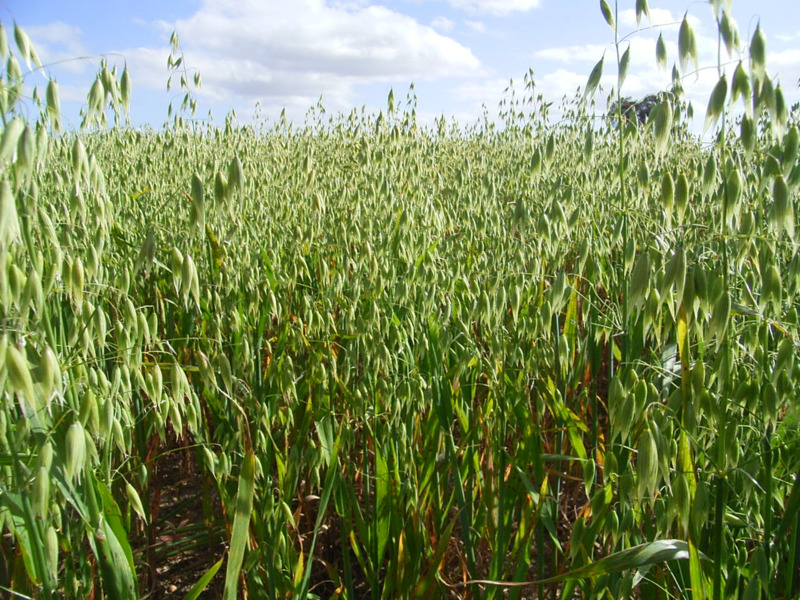 The National Oat Breeding Program has now released a number of dwarf varieties suitable for milling. In Western Australia these have been Kojonup and Bannister, with Mitika and Possum accepted for milling in South Australia. This means the benefits dwarf varieties offer growers in terms of higher grain yields, less lodging and less head loss are now widely available. Bannister and Williams have excellent grain yields and are consistently the highest yielding lines in all AgZones of Western Australia. They are over 20% better yielding that Carrolup and have a more than 10% yield improvement over Wandering. Nationally, Williams is the highest yielding potential milling oat variety in National Variety Testing (NVT) trials.